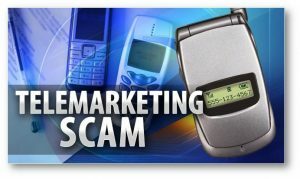 The telemarketing fraud punishable under 18 USC 2325 is one among the different types of frauds that the Federal Bureau of Investigation (FBI) usually investigates. In certain cases, the United States Secret Service may also get involved in the investigation because the telemarketing fraud may also constitute as a part of an international crime. In determining who is guilty in a telemarketing conspiracy, and what their offense level should be at sentencing requires a close examination of the facts. Based on the Federal Court’s ruling in United States v. Studley, 47 F.3d 569, 575 (2d Cir. 1995), Knowledge of “another participant’s criminal acts is not enough to hold the defendant responsible for those acts,” and knowledge of a conspiracy’s overall objectives does not make the defendant accountable for all the co-conspirators’ acts furthering those objectives. If applied to telemarketing fraud, “the scope of a joint undertaking for sentencing purposes depend[s] on whether the telemarketers ‘worked together,’ ‘relied on one another to make a sale,’ attended the same sales meetings, and ‘depended on the success of . . . the operation as a whole for their financial compensation.’” Treadwell, 593 F.3d at 1005 (quoting Blitz, 151 F.3d at 1013). If two defendants, working together, design and execute a scheme to sell fraudulent stocks in a telephone boiler-room operation, each is accountable for all the fraud losses that result. The conduct of each is in furtherance of their jointly undertaken criminal activity and is reasonably foreseeable in connection with that criminal activity. U.S.S.G. § 1B1.3, cmt. n.2, Illustration (c)(2). To determine a defendant’s fraud-loss amount and resulting offense level, a district court must consider that defendant’s role in the overall scheme. See Treadwell, 593 F.3d at 1005; Studley, 47 F.3d at 576. A higher term of imprisonment that will not exceed 10 years in case the victim of the crime consists of ten or more individuals who are more than 55 years old. Imprisonment that does go beyond 10 years of prison term if the victim is 55 years or older. Long-term prison sentence can sometimes be avoided in white collar crimes, such as telemarketing fraud pursuant to 18 USC 2325. Wall Street Prison Consultants specializes in helping federal and state offenders to obtain sentence reductions through programs that can help provide alternative solutions to long term incarceration. Our consultation services employ investigative and research processes to assist inmates and their lawyers in finding the best solution and alternatives available to reduce prison terms of an inmate. Discuss possible solutions to your issues today. Contact Wall Street Prison Consultants at 855-577-4766. We’re here to help!